"Knowledgeable, caring, ethical, and personable with a keen business sense." Knowledgeable, caring, ethical, and personable with a keen business sense, are just some of the terms I would use to describe Burman Clark. In the 15+ years of working with Burman, he and his staff have provided assistance for a variety of needs. Their response has always been quick and efficient, the information provided or proposals presented were thorough, yet concise, and exactly what was needed to resolve the issue at hand. Recently our organization needed the expertise of a professional to help over 100 seniors transition from the comfort of a group health insurance plan to individual plans. We needed someone who could easily communicate the very complicated topic of Medicare, and supplemental plans, educate people on their choices so they could make informed decisions, and guide them through the enrollment process. 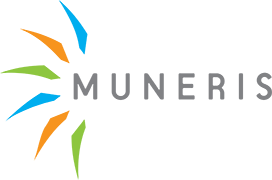 Muneris was selected as the provider for this task. He and his staff worked under a very short deadline and met the high standard of service that was set for them. We have since received many calls from these seniors to say “Thank You” for selecting Burman and for providing his assistance. Our main goal from the start was to ease the uncertainty people had and to provide comfort and support during a very difficult transition period. By selecting Burman, what we got was a satisfied group that also developed trust and confidence in the folks helping them through the process." "I trust him to do what is right." We have known and done business with Burman Clark for years and I trust him to do what is right. We have a lot of the same business ethics and know what it takes to win and keep customers. A couple of years ago, I was swayed by another insurance rep who promised me the moon, but all I got was rocks. After a year or so of doing without Burman, I called him and, as the story goes...happily ever after!" "I think that his service has been critical to our success." As a business owner in the healthcare industry, providing employee benefits (and especially healthcare insurance coverage) is an important aspect of the overall compensation package and a valuable retention tool. Since 1993, we have outsourced this task to Burman Clark and his great staff. Burman's knowledge of the healthcare industry, customer service, and years of experience have been invaluable. He has been able to provide our employees with excellent healthcare plans that have been affordable to our practice. On a more personal note, Burman has helped my wife and me on our transition to Medicare. He has also assisted our daughters with respect to their healthcare coverage. In short, he has proved to be a trusted adviser and in retrospect, I think that his service has been critical to our success." "His creative approach and thorough knowledge of the benefits industry are beyond compare." I can recommend Burman Clark without hesitation on both a personal and professional level. Burman has handled benefits and all health-related insurance for the agency for which I serve as Executive Director for many years. We have consistently turned to Burman for his professional assistance every year. His ethics are beyond reproach, and his creative approach and thorough knowledge of the benefits industry are beyond compare." "Truly puts the needs of others before his own." Burman truly puts the needs of others before his own. This is an ethical decision that contributes to his success. He surrounds himself with professionals that share this unique characteristic. His business practices, demeanor, and professionalism is why I am always willing to team up with Burman whenever given the opportunity."